You have two cans of ‘Venetian Blue’ satin paint, one labeled for exterior use and one labeled for interior use. Yes, both contain the same pigment and have the same sheen, and yes, of course they’re both paint. But after those two similarities they begin to differ. If it’s been years since you’ve taken on a paint job, things have changed in the paint aisle. The chemistry behind today’s paint components fine-tunes them for their intended use, and both manufacturers and pros recommend you use each can as labeled — interior paints inside and exterior paints outside. First things first about paint: There are two basic types of paint to choose from, water-based and oil-based. Latex and acrylic paints are water-based, while alkyd paints are oil-based, and both interior paints and exterior paints come in both types. 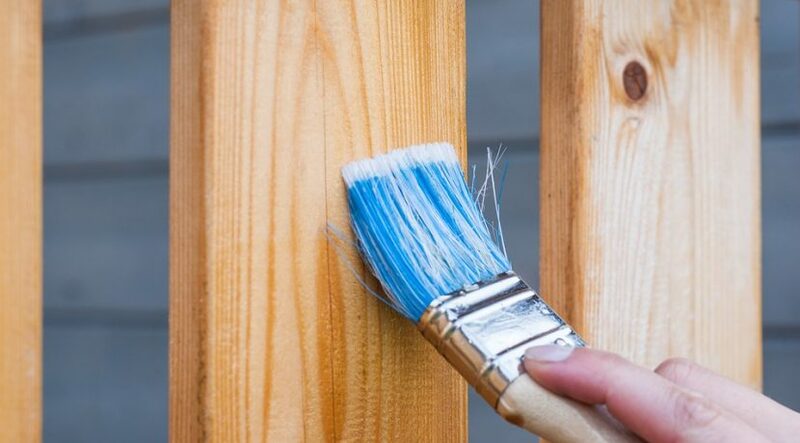 When it comes to exterior paint, oil-based is better at resisting dirt, but more commonly water-based latex paint is used because it tends to be at least as or more durable than oil-based. These outdoor-friendly paints are better suited to handle humidity, temperature changes and other outdoor factors, and they don’t take as long to dry as alkyds. Paints formulated for outdoor use contain additives that give them longevity in the elements — including resistance to cracking and dirt resistance, as well as protection from the damage ultraviolet (UV) rays cause. Many also have mildewcide as an additive. Water-based paints are also preferred for indoor painting, and not just because of the fumes associated with oil-based paints. Instead of additives to crack down on dirt, interior paint’s chemistry is intended to make the paint hold up better against scuffs, scratches and sticking (for example, around window frames). It’s also designed to endure cleanings (such as removing the evidence of a tomato sauce splatter or scrubbing away a small child’s artwork with an alkaline cleaner). The lack of certain environment-specific additives gives interior paints a disadvantage when used on external surfaces, and the difference between interior and exterior-formulated paints doesn’t end there. Differences begin to emerge when you look at paint’s other three basic components, too: pigment, binders and liquids. Let’s start with pigment, which is what provides a can of paint with its color. Interior paints may contain organic pigments for color, and certain types of organic pigments are known to significantly fade if used on an exterior surface; exterior paint formulas avoid these pigments, increasing the time needed between outdoor paint projects. Similarly, paints are formulated with additives known as binders, which are used to bind the pigment together as well as provide adhesion to the painted surface. Because exterior paints need more help combatting the adverse effects of the environment, binders used in outdoor-friendly formulations give the paint resistance to integrity problems such as cracking and chalking, as well as increased moisture control. Interior paint binders may offer better resistance from abrasion, instead, which isn’t necessarily a much-needed quality in exterior paint. Interior and exterior paints also differ when it comes to the types of liquids used. According to federal guidelines, interior paints — specifically indoor water-based paints including latex — are designed to contain the lowest levels of VOCs (volatile organic compounds). VOCs are used as solvents in the liquid component of paint and they vaporize at room temperature. VOCs are linked to both short-term and long-term health problems, from headaches and dizziness (short-term) to respiratory disease and liver damage (long-term). They may also be associated with certain cancers. The EPA reports levels of VOCs may average as much as two to five times higher inside your home compared to outside, and the levels can increase significantly post-painting. Look for interior paints with low-to-no VOC levels. 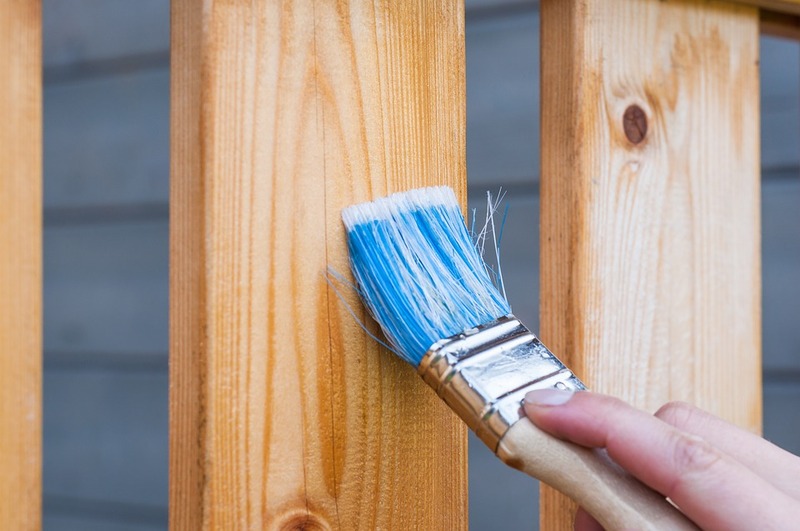 Because exterior paints don’t all meet the same low-to-no levels of VOC requirements as paints formulated for interior use (especially oil-based paints), in this instance it’s important to remember never to use exterior paint inside your home. And for those who just don’t know why this has to be so difficult, there is another option; paint formulated to be used both indoors or out. There is such a thing as a hybrid interior/exterior-formulated paint.